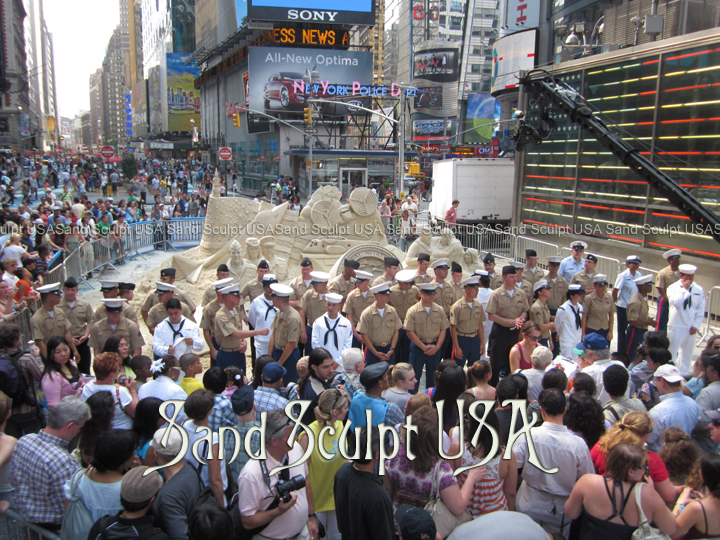 Throughout the year we create sand sculptures under the name "Sand Sculpt USA" for various corporate and private events. Below are a few examples. 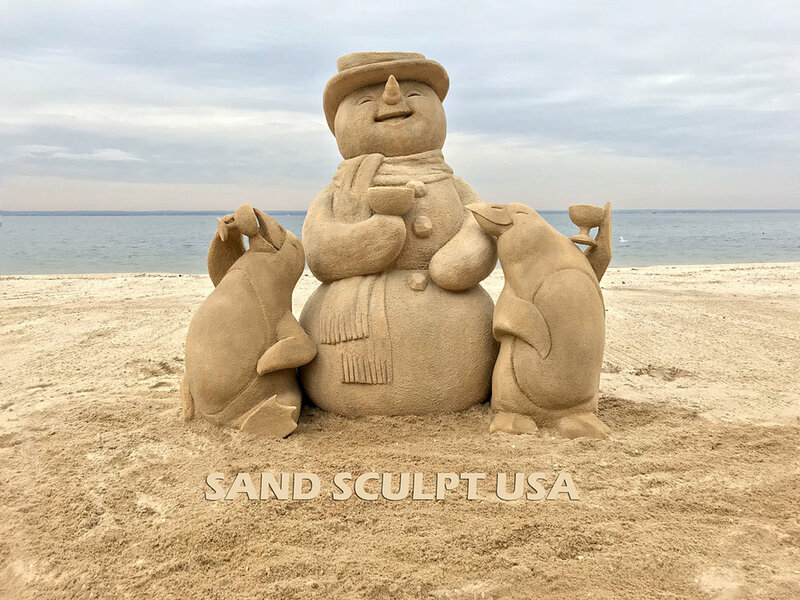 Sand Sculpture is a smart and fun way to promote your business, entertain your customers and generate positive media coverage. Whether in public space, private party or corporate setting, we can design a one of a kind experience. Let us make your next event memorable! Nothing delights young and old alike like world class artists creating magic in the sand. We also create beautiful sand sculpture centerpieces for Weddings, Mitzvahs and Special Parties! 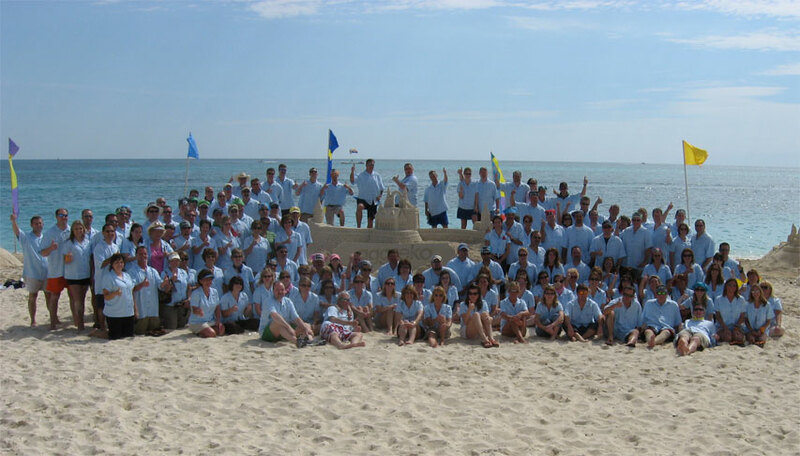 Corporate Team Building events at any beach of your choosing! Our goal oriented programs help build bonds between coworkers and nurture creative problem solving skills which they will bring back to the office and will have a fun all the while! Building a sandcastle is easier than you think! 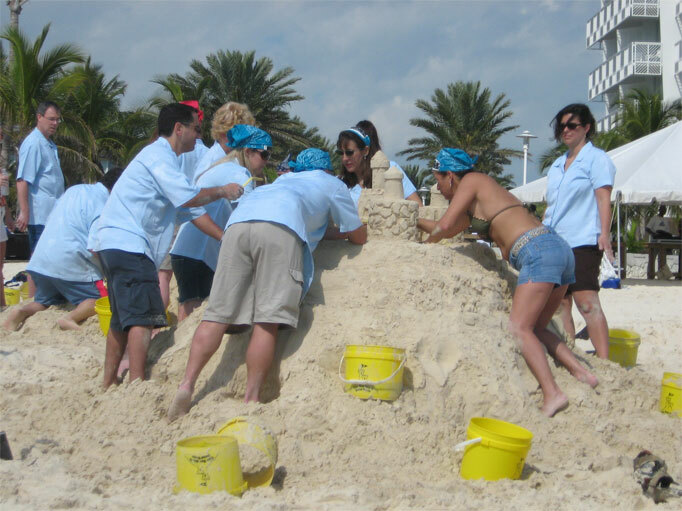 Your employees will join us for a fun and informative demonstration of sand sculpting that appeals to the young and old. These clinics are designed to give the participants the skills they need to create fabulous sculptures in sand. This portion is approximately 20 minutes. Immediately following the clinic you will break into teams and head to your plots. 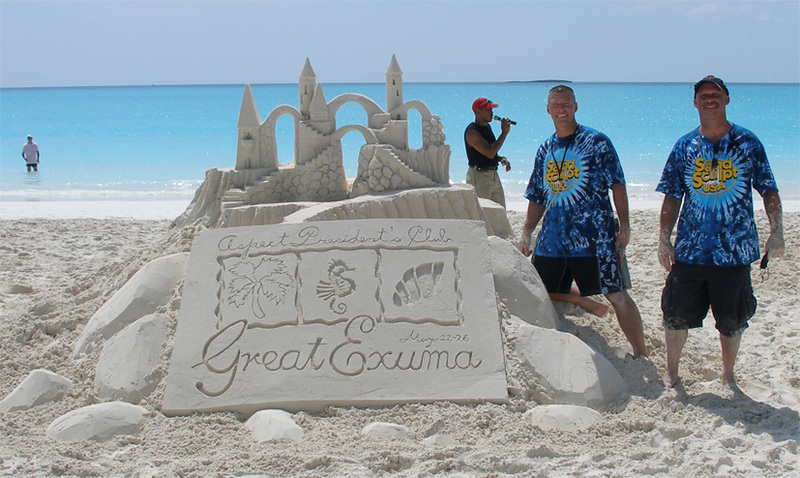 Here is where you can demonstrate your creativity designing your dream sand sculpture…with advice from an expert. Our sculptor/clinicians will travel from group to group and help with design and technical advice. We set goals that the teams must reach, for example: Your sand castle must be a particular height, have a certain amount of windows, staircases, arches, turrets, etc… designing and building a working castle. Alternatively, you can make this just a fun event with no specific criteria required. At the end of the day, group photos in front of each teams completed sculpture would be taken. You could also take a full group photo in front of the professional display piece, with your company logo (billed at additional costs). Costs for a professional display sand sculpture with logo varies by size, complexity and level of detail. We will be happy to supply a quote based on individual requirements. Your guests will be surprised at what they can accomplish during our program and will be eager to show off their skills the next time they're at the beach.